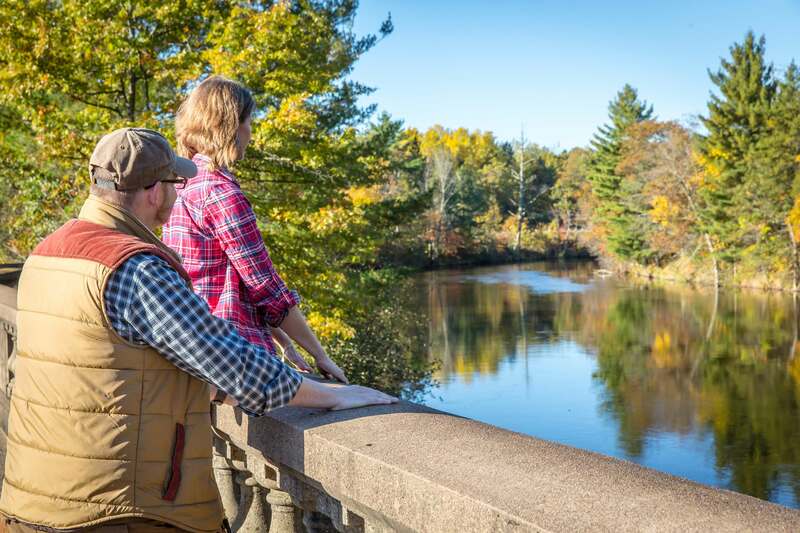 Washburn County is home to approximately 45 of the nearly 100 miles of the Namekagon River. With nearly half of the Namekagon flowing through Washburn County, it's no wonder why the area is a popular stop for folks visiting this little known national park. The Washburn County stretch of river begins between Hayward Landing and West River Landing and continues through Trego to Fritz Landing. Washburn County offers five outfitters, over 30 river-access campsites, and several resorts & campgrounds along the river. Services: Canoe and tube rental for resort guests. Services: Canoe, kayak, paddleboard and tube rentals. Shuttle service for non-renters. Offers 4 cabins and 34 campsites with electric, sewer & water. River shuttle services and rentals. Restaurant & Bar on site. Offers 15 campsites with fire pits. River shuttle services and rentals. Ice cream shop on site. Offers 8 log cabins, 3 sleeping cabins with lofts, 25 campsites with water & electric. River shuttle services and rentals. Splash & Play Inflatable Park on site. Offers 52 hotel rooms, 5 two-bedroom cottages, and 10 four-bedroom duplexes. River shuttle services and rentals for resort guests. Restaurant & Bar on site. Offers 5 cabins and seasonal campsites. Located on the Trego Flowage. Boat rental included with cabin rental. Offers a 24 foot diameter yurt made of canvas over a wood lattice framework. This four season dwelling is heated with a wood fireplace, with outdoor privy and electric lights. Sauna and massage services on site. Offers 30 campsites with electric & water. Covered picnic areas and pavilion on site. Private accommodations on a 1950's vintage sleeping car. This overnight trip boards at 5 p.m. and concludes the next morning at 10 a.m. Enjoy an evening full of dining and entertainment.